It’s almost too hot to type in my office at the moment. I sit here with the blinds closed, my fan on high, the hostile sun beating down on me through the glass and feel guilty for missing Vancouver’s rain clouds. 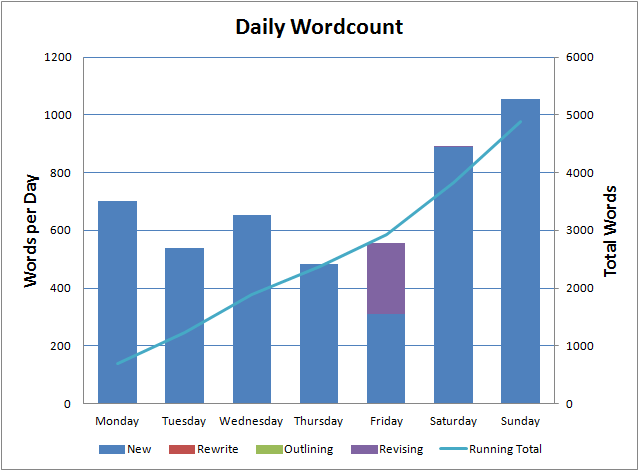 Still, I managed a respectable 4,878 words last week. Most of that was working on The Zombie Book but I got some beta reader feedback on Leah and had a day off work on Friday so I spent some time tweaking my novella. That particular story also has a final name – The Girl in the City. It’s now gone off to an editor a development edit – basically a high level pass to pick out broad issues. Things like character inconsistencies, fundamental writing issues etc. A development edit is different to copy/line editing which is much more focussed on the specific words. That comes later, when I have a draft I think is ‘finished’. I also got the editorial feedback on Glitch this week. A big thank you to Eliza at Clio Editing. She did a great job, picked up lots of errors and some high level issues that I’ll need to fix. 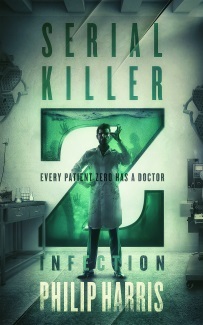 This week I’ll be focusing on The Zombie Book again, although I do have an old short story I want to revisit. I’m also going to be revamping my website – a task I am not looking forward to.